Read about Bill.com invoicing software for businesses of all sizes. Includes Bill.com Pricing, Reviews, and Answers to Common Questions. Bill.com is a cloud-based payment platform for businesses of all sizes, as well as accounting firms and banks. Bill.com allows businesses to automate bill payments, invoicing, and accept payments from customers. Pros: Integration with Quickbooks; allows you to create invoices and have customers pay online; ability to pay vendors via ACH. Bottomline: Easy to use software that saves you time; allows you to keep digital copies of bills/invoices etc; works well with Quickbooks. What is the price range for Bill.com? Bill.com pricing ranges from $29.00 to $59.00 per employee per month. The price range for enterprises is quote only. What features does Bill.com include? 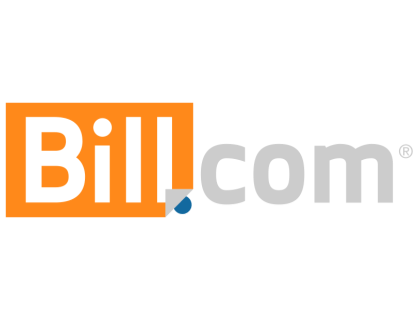 Bill.com software allows you to enter and send electronic invoices quickly and easily, pay vendors across devices, choose your preferred payment method, and receive payments into your bank account via ePayment, ACH, credit card, or PayPal. Bill.com also syncs with popular accounting software. If you'd like to read more about Bill.com for accountants, go to bill.com/for-accountants/. I need help paying with Bill.com. How do I submit a payment via this platform? From your dashboard, click on Payables. From there you'll be able to review your upcoming bill payments, schedule outgoing payments, and select the bank account from which you'd like to pay your vendors. Is there a Bill.com app? Yes. The Bill.com mobile app for iOS and Android integrates with several accounting software platforms, including Salesforce, Quickbooks, and Sage Intacct. Where can I find the Bill.com login page? Go to wwww.bill.com and select "Login" in the top right corner or sign in directly at app.bill.com/login. Where is the Bill.com headquarters? Bill.com Palo Alto CA is the headquarters of Bill.com. What are some Bill.com competitors? I use Bill.com for a few clients and it's a great solution for A/P. It's a little costly for the monthly access, but the fee's per transaction are 100% worth it when you consider the cost of buying checks, envelopes, postage and taking the time to write checks. My favorite part is how easy vendors can send invoices to the fax or email address and have them store automatically in Bill.com to review. Bill.com ALL THE way! I’m a 6 year user and it’s amazing. They are the backbone of my business. I haven't tried MineralTree, but Bill.com is awesome. It has a range of payment options and approval processes. 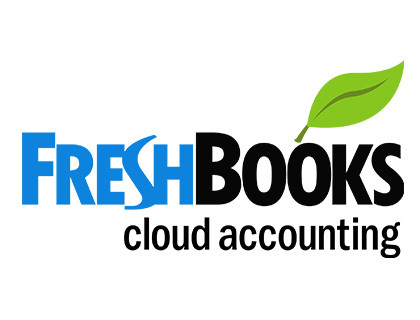 There's a great audit trail and fantastic Quickbooks syncing. Definitely recommend it! Heads up before using Bill.com - what they don't tell you is that your first payments to each vendor will take 15 days to send. I'm pretty upset right now since I've always paid my vendors in a timely fashion and suddenly I have to ask them to wait 15 days. That's not even the upsetting part -- more so that the ETA keeps creeping higher without telling you. See below: While they say it's for "security purposes", they already verify you in about 3 different stages and even login to your bank account from their site to further verify/add your account directly. There's literally nothing more to verify unless they want a blood sample. Not only do they not give you this heads up until last second, but they'll first show a date of 10 days -- then if you check out your "sent" history, you'll ONLY THEN notice the "bumped up" ETA to 15 days! Then there's an extra 2 business days just to initiate the transfer. Sending at Thursday morning? It won't even initiate until Monday morning!I know how long ACH transfers are supposed to take and I know that I have validated myself to heck and back. Anyway, this is my first-time experience with bill.com (with QBO integration) and feel uneasy. First the 2 business days to initiate. Then the +10 days after that for ETA. Then the ninja "+5 days" ETA in the "sent" area AFTER you send it (you are unaware of this unless you check your "sent" tab). I don't feel good about it. I’ve been with Bill.com for around 7 years, and I’m switching this month. Their new interface is so awful. The features I need are so buried. It’s a terrible terrible user experience.